We represent Native American Baptist Churches affiliated with the Baptist General Convention of Oklahoma. Our focus is on developing indigenous leadership, creating contagious communities of faith, and affecting revitalization in plateaued and declining churches. Dr. Falls is of Sac & Fox and Choctaw descent. Born and raised in Oklahoma, he left to attend Golden Gate Baptist Theological Seminary in California where he earned the Master of Divinity and Doctor of Ministry degrees. For many years he has pastored churches in California and Arizona, and most recently, Glorieta Baptist Church in Oklahoma City. In 1989, Dr. Falls founded and was Director of the Rocky Mountain Campus of Golden Gate Seminary, located in Denver, Colorado. He has served as President of Cook College and Theological School. 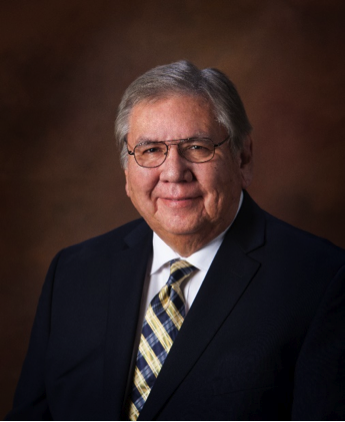 Dr. Falls also became the first elected Native American to serve as President of the Baptist General Convention of Oklahoma. He is married to his wife, Shirley, who is a talented musician. They have two children and three grandchildren. Ben is of the Absentee Shawnee and Seminole/Creek tribes. He has lived in Oklahoma all is life. He served in the U.S. Army. He is a graduate of Oklahoma Baptist University with a Bachelor’s Degree in Business Management. Ben answered the call to ministry at Indian Falls Creek in 2007. Previously, Ben served as the mission pastor at Disciple’s Way Mission in Stroud, OK. He was employed with Shawnee Public Schools as an Indian Education Advisor. Ben served as pastor at Sallateeska Baptist Church, Shawnee, OK from 2008-2014. Ben is married to his wife, Elsie (Sac & Fox & Filipino), an elementary school teacher and member of the Native Praise Women’s Choir. They have one adult son. Ben is currently working towards his masters degree with Southwestern Baptist Theological Seminary.